An employee has two possible ways of seeing his colleagues schedule, Both of these functionalities can be deactivated if needed. This option is deactivated by default. 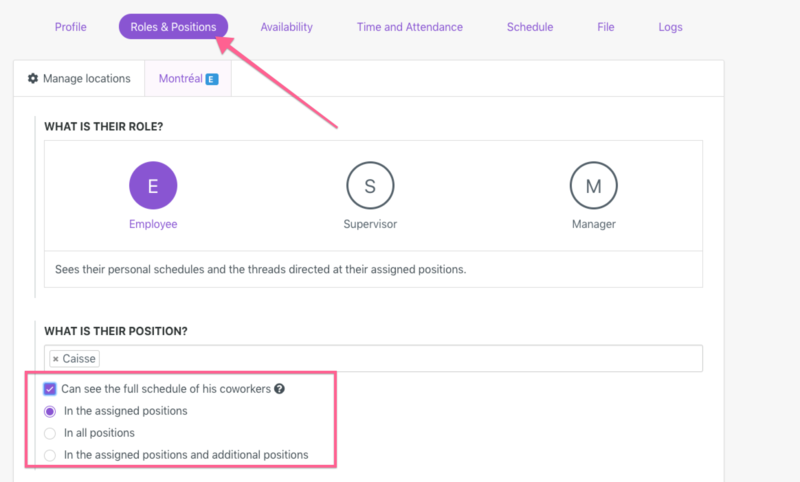 To activate this option, go under the employee profile ➡️ Roles & Positions tab. Then, under What is their positions? you have the "Can see the full schedule of his coworkers" checkbox. See this article on how they can do so. We would recommend sharing this article in the News Feed. Instead of manually changing the setting for each employee, it is possible to mass change. This setting is activated by default in the Settings menu. 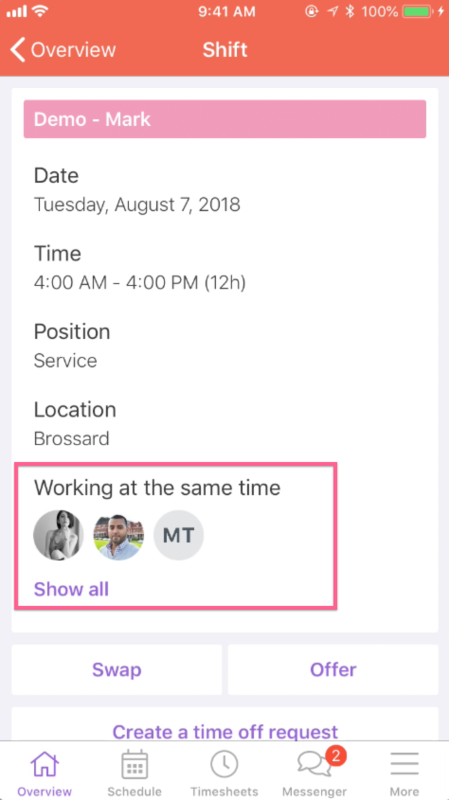 Employees can see who works at the same time as them when they click on their shifts.